Our greetings to you. 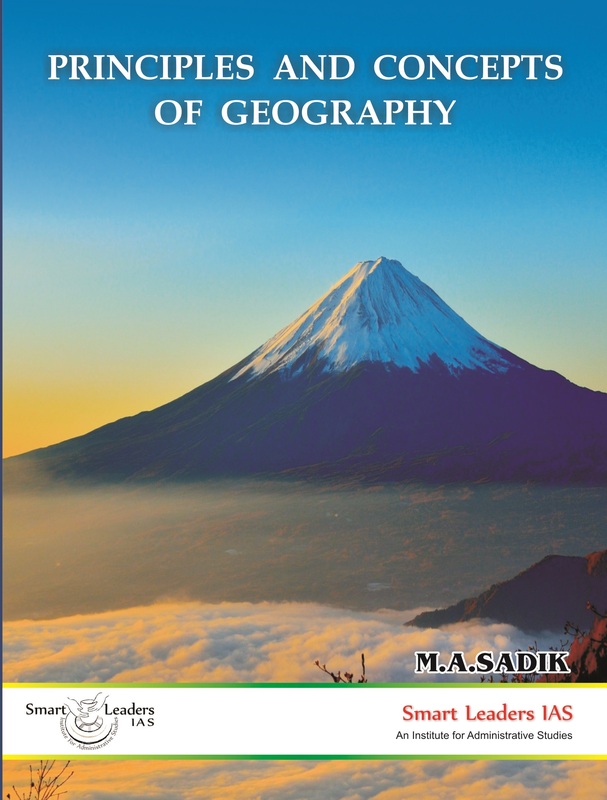 We present you with this book “The Principles and Concepts of Geography”. This work consists of all the basic concepts associated with the Three spheres of our earth. i.e. Lithosphere, Atmosphere and Hydrosphere. Geography as a subject emerged as our need to understand our Surroundings increased. Our Surroundings and Environment decide our life and our being. The understanding cannot be complete unless we know some basic concepts of Geography. This book gives you all those basic concepts. Studying this book with the aid of Atlas will help you to learn Geography. The book is prepared for the aspirants, who find Geography a huddle to clear Competitive Exams. We tried to include all those topics relevant to the UPSC Exam. We request you to give your valuable suggestions for our improvement. We take this opportunity to thank our Smart Leaders Team, Senthil Kumar, Suresh Kumar, Karthikeyan, Dhanasekar, Ravichandran, Kalaiselvi, Sumeet, Ramya, and others for their suggestions and contributions in preparing this material. We also thank our Students who provided the needs and inputs required for this material. We wish you all the best for your success in UPSC and happiness in life.